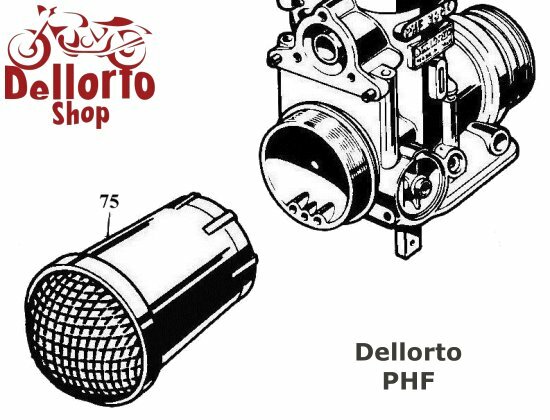 45 millimeter long trumpet for the Dellorto PHF carburetor. Machined from a solid billet of aluminum with a crimped-on, dome-shaped, gauze filter. Total length of the trumpet is 45 mm with the gauze adding another 18 mm. 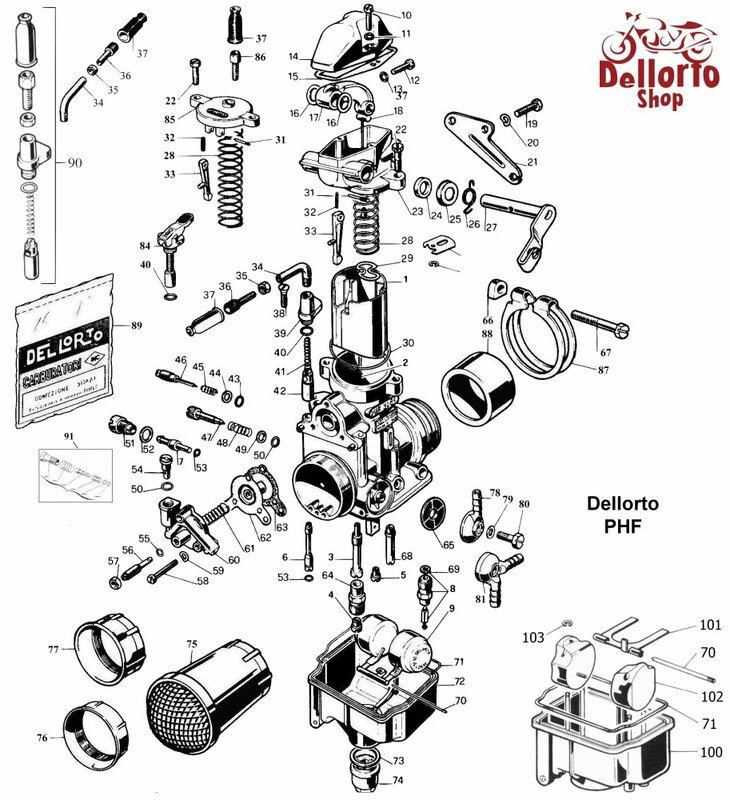 The trumpet has a 48 mm threaded connection to the carburetor. 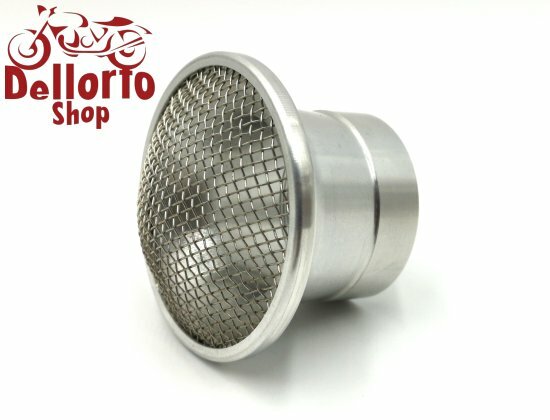 The diameter at the widest point is some 75 mm.